We now stock Corning OptitapTM Test Jumpers, enabling you to quickly perform in-field fibre testing, by allowing rapid connection to external flush-mounted bulkhead adapters on terminals or closures. These 1 fibre jumper leads are 3 metres in length and are pre-terminated with with factory-terminated, environmentally sealed and hardened SC/APC connectors. The Corning Optitap Test Jumpers are sheathed overall in LSZH. 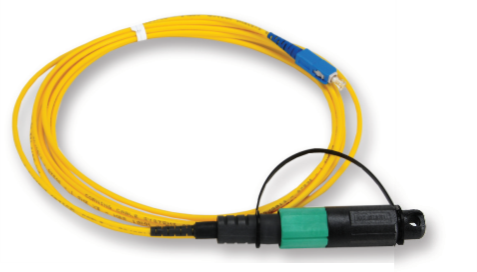 The Optitap test leads are another addition to our large range of fibre-optic cables and FTTH products. We stock singlemode and multimode fibre cables in both loose tube and tight buffered construction, in a range of fibre counts and sheath types. W also stock a variety of fibre accessories including connectors, enclosures, and installation kits from KeyFibre.